Do these lines sound familiar to you? If you meet small business owners every week, or friends that want to have a website but don’t spend evenings and weekends tinkering around on the web, you’ll hear frustrations like this a lot. And that’s from the ones who have figured out how to get a website up and running in the first place. There are many who are still trying to figure out where to start. Fortunately, WordPress is here to Rescue! A content management system is a tool that helps you manage the creation and updates to web pages on your web site. 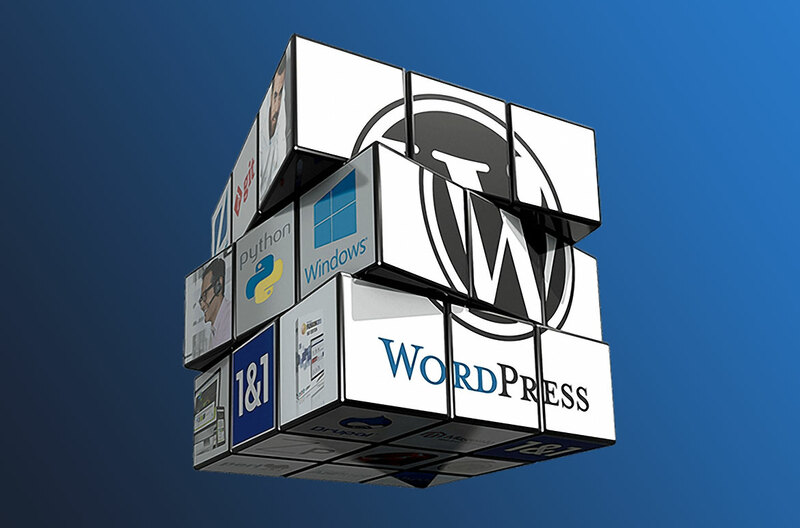 WordPress is an amazingly powerful content management system that is FREE. And it has a lot of power under the hood for a small or medium business looking for an easy way to manage their web site. WordPress was designed as a platform for blogging, but you don’t have to use it as a blogging tool. With a few tweaks it can be used to run your website, with or without a “blog.” The fact that WordPress was designed as a blogging platform gives it some compelling advantages. It is optimized for easily publishing and changing content. And getting good search engine rankings requires fresh, unique content. You need a system that does not get in your way when you want to update your website with a new article or newsletter. So why is WordPress a good choice? SEO – WordPress provides good search engine optimization (SEO) right out of the box. There are a few tweaks you need to make, but there are many seo benefits that WordPress provides for free. Content – it is easy to update content on your website without knowing HTML. Do you hate the idea of having to learn to use a complex HTML editor tool? Do you have to “ask” your webmaster every time you want to make a small change to your website? Well no longer – once WordPress is set up for you, you can easily create new pages or edit existing pages using a simple rich text editor. Extensions – There is a thriving ecosystem of developers creating themes and plug-ins – imagine free design themes, or the ability to extend your website with polls, contact forms, ratings or hundreds of other cool features without having to hire a web developer. One-click-installation – Quick installs are provided by many hosting providers. Are you using WordPress for your Website, or stuck with something that isn’t working for you? we’d love to help you! Please contact here.